Making provision for photographing the guests at your wedding is a great idea for two reasons. For one, you get to have some great photographs of your closest friends and family, and for another, it is an excellent way to provide a bit of entertainment for your guests. Make a cardboard speech bubbles for each of your guests and provide multi-coloured markers for writing on them. It will be fun going through your photos to see what everyone comes up with. You might consider making a couple of extra ones for those who might want to play with more than one. If your wedding reception is being held outdoors then add a little extra quirk by hanging a couple of empty frames in a tree nearby. 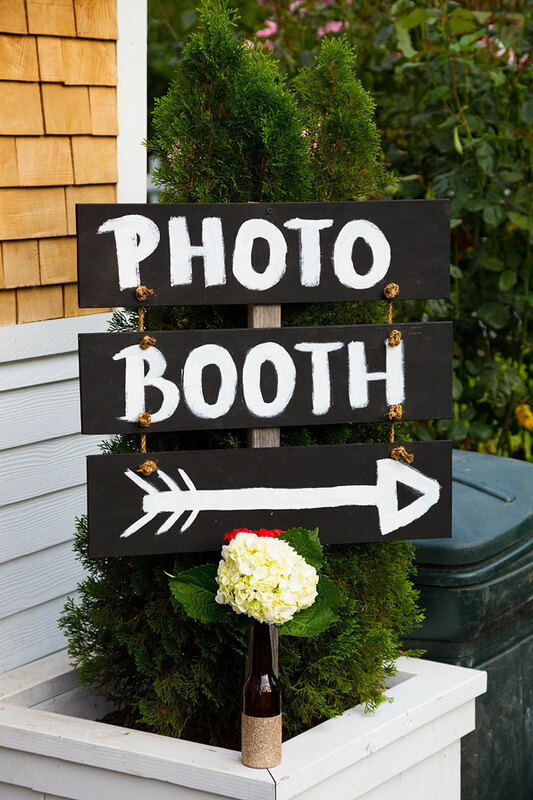 Guests can have fun being photographed with their faces in the frames. For a bit of extra colour you can consider hanging balloons (add a marble inside the balloon to make it hang) or Chinese lanterns between the frames. For a less conventional backdrop why not make a curtain out of ribbons. Outside the movement will be lovely, but even inside the ribbon curtain backdrop can double as a prop. You will see that it will prove a lot more versatile than a regular solid backdrop. You could either use one colour, or try different shades of the same colour, or, for a more vibrant backdrop, use several different colours. Make a balloon curtain back drop by using helium balloons with different lengths of string to fashion a bit of a wall. Once again you may choose to get adventurous with colour, or simply use one colour that matches the rest of your wedding décor. If by some miracle you find yourself with a chalkboard wall at your disposal you might consider using it as a backdrop for photographs. Provide plenty of coloured chalk sticks for your friends to get artistic with.